What does Embrace a Village do? Two of our co-founders, Joe and Anil have always had huge vision for Embrace a Village. They longed for the people of India to experience God’s love and His message of hope and healing. Together with an incredible team, they have created a ministry that is helping change the lives of so many people who suffer from leprosy. Spiritual: Many have come to know God’s love for them and that He has an eternal promise for each person. Medical: As their spirits are healed, so are their bodies. Whether receiving medical treatment within the colonies or at our hospice or rehabilitation centers, their faith and alleviated physical symptoms allows them to enjoy a higher standard of living. Nutrition: Nutritional programs help provide additional bodily care to residents in the areas we serve. Education: It is our hope that educational assistance will give the children more career opportunities, thereby helping them integrate into mainstream society and breaking the perpetuation of colony life. Since 2003, we have been able to expand our team of caregivers and the care we provide. 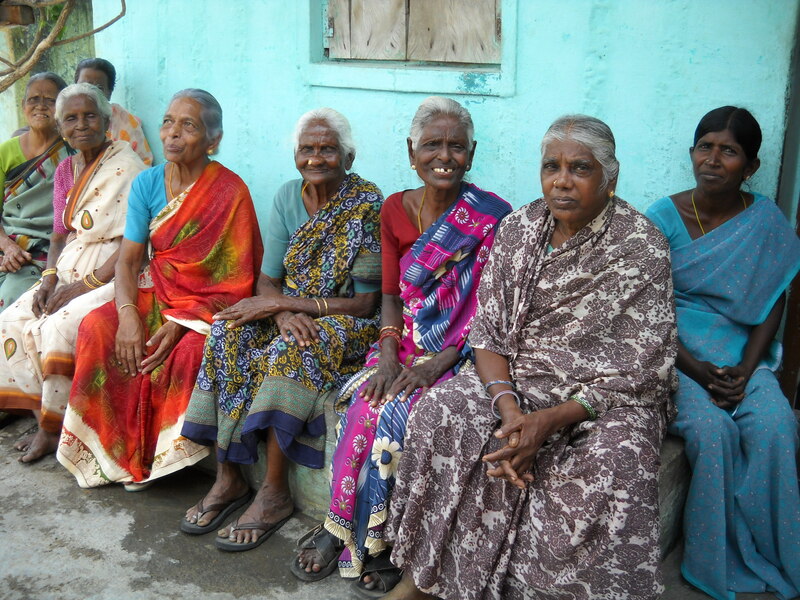 The increased support has led to Embrace a Village becoming the most effective, consistent, and comprehensive care program for those living with leprosy and their families throughout the state of Tamil Nadu. Here is a more in-depth look at the services we provide. Early on, we built a hospice facility because so many patients were dying all alone. They suffered horribly, had no one to care for them and often died in an abandoned corner. It was truly awful. The vision behind establishing the hospice center is to give dying patients a place of peace and a place to be properly cared for at the end of their life. It is also a place they are able to hear God’s truth and the message of the gospel. However, many of our patients do survive simply because for the first time in their life they are receiving proper medication, nutrition, and hygiene. Still many do pass away from old age or advanced stages of their disease but now have been saved by God’s Grace and will experience His Love throughout eternity. The majority of the patients are not from Christian backgrounds so they haven’t had the chance to hear about God’s message of salvation. While they are in our care, we lovingly share about Christ’s love for them. ALL of them have come to the Lord! They earnestly desire to know Him and it is truly the most holy part of our program. Whether in the hospice center, rehabilitation center, or in the colonies, our heart is to share the gospel. In the colonies each week, residents are able to participate in Bible study discussions as well as worship services. 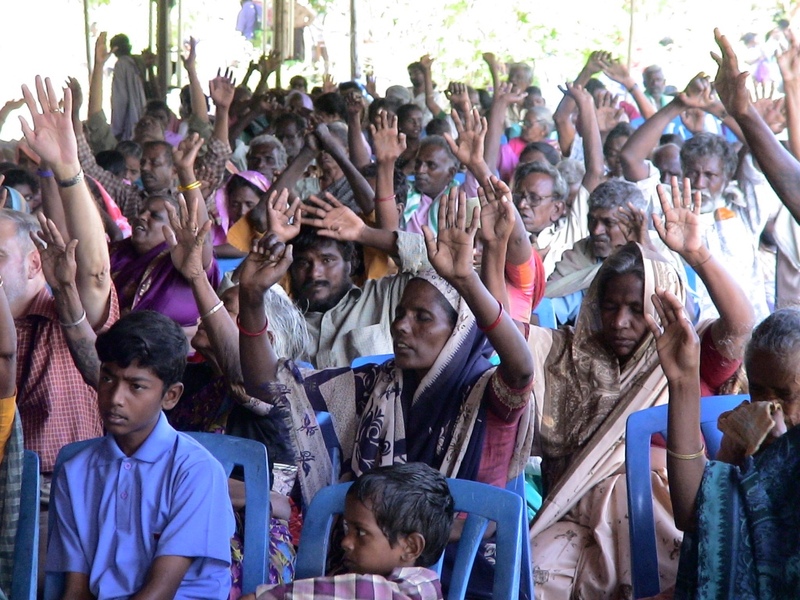 Many have been profoundly impacted, with some passionately expressing they are thankful for contracting leprosy as their suffering has given them an opportunity to come to personally know Christ – an opportunity they otherwise might not have had! 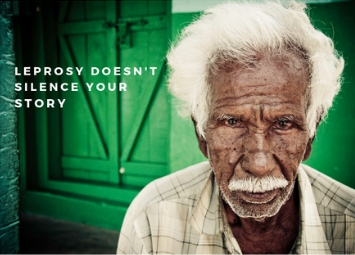 Contracting leprosy causes significant nerve damage leaving the patient unable to feel pain. This leaves them vulnerable to injury and infection, especially in the extremities. The feet are particularly susceptible to injury and disfigurement often leading to amputation when left untreated. We have an on-staff shoemaker who provides patients with special shoes to prevent further trauma and infection to their feet. Having shoes allows the ulcers to heal and the rubber on the bottom of each shoe helps them to walk better. The shoes are handmade and customized to meet the specific needs of the individual patient. Our full-time technician goes to the colony and assesses each patient. He draws the foot, goes back to the base and cuts it out and designs the sandal. Then he returns to the colony to ensure the shoe fits. He travels back to our base to stitch the sandal and returns back to the colony for the final fitting. Several trips and many kilometers are traveled for the construction of one pair of shoes. Our shoemaker makes on average 270-300 shoes per month. These shoes aren’t just walking aids, they are vehicles of hope. Once patients receive proper footwear, infections are reduced and their overall quality of life is improved. Providing for patients medically would only be part of the whole picture of health. Nutrition is also an issue for patients and their families. 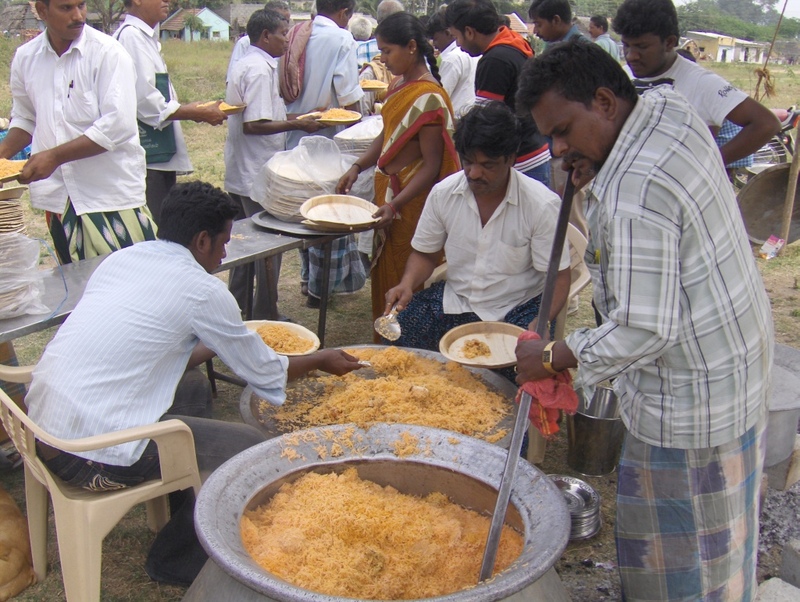 Educating patients on their nutritional needs comes with a two-week supply of rice. Family members of those affected by leprosy are also provided nutritional supplements. Each week the children who participate in the after-school tutoring program and our patients in both our rehabilitation center and hospice are given high-protein snack bars (“Happy Bar”) for nutritional assistance. Many of the children who have grown up in the leprosy colonies receiving the help of Embrace a Village have now become part of the team. Others have been able to gain employment in mainstream society. 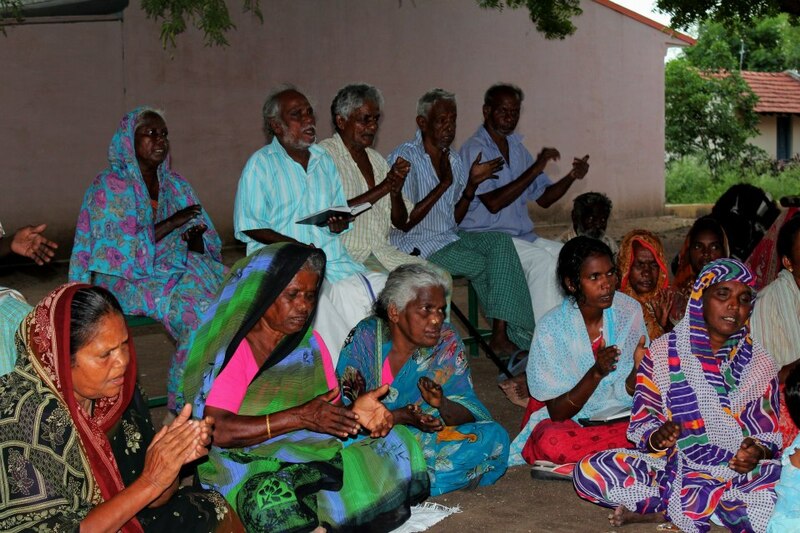 They are helping to break down the cultural barriers that keep those affected by leprosy from being seen as outcasts. We also raise chickens at our rehabilitation center – 200 chickens to be exact! Each chicken typically lays one egg per day which provides 200 eggs per day and 1400 eggs per week. This provides for lots of tasty meals thanks to our hardworking hens. We have established an agreement with a local market trading eggs for vegetables offsetting costs for our food preparation for both staff and patients. We raise approximately 2,000 fish in our fish pond as well. Recovered patients feed and help us maintain the pond. Additionally, we’ve started a Goat Farming Project to breed goats. The heart behind this project is to produce goats and give them away to colonies so the villagers can be taught to raise them… We will teach villagers how to raise, breed and care for the goats with the goal of selling them in the marketplace. People who have been pushed out and shunned and told they don’t have worth are now being included and are feeling a sense of pride and purpose for the first time in their lives. The children of parents affected by leprosy, although healthy themselves, are stigmatized and sometimes turned away from schools because of their connection to the disease. It is very likely they will grow up in poverty, placing access to a quality education out of their reach. Education provides the children with greater career choices and the opportunity to break away from a colony lifestyle and a chance to raise families of their own in mainstream society. The after-school tutoring program helps students with homework, shares a daily Bible lesson, and provides the children with their most nutritious meal of the day. This program has helped a number of students excel in their education so much so that many have plans to attend university. Each of the programs helps to contribute to the overall health and well-being of those affected by leprosy and their families. But more than anything, we are grateful for the ongoing opportunity to share the love of Jesus and His message of hope and healing. It is truly amazing watching God work throughout the ministry. For more information about what we do in India, click here.